Clamp probe (NTC) – with 5 m cable length | Sondy - povrchové sondy | Sondy | Typ produktu | Testo, s.r.o. Use the clamp probe for fast, accurate surface temperature measurements on pipes with diameters of 6 to 35 mm. 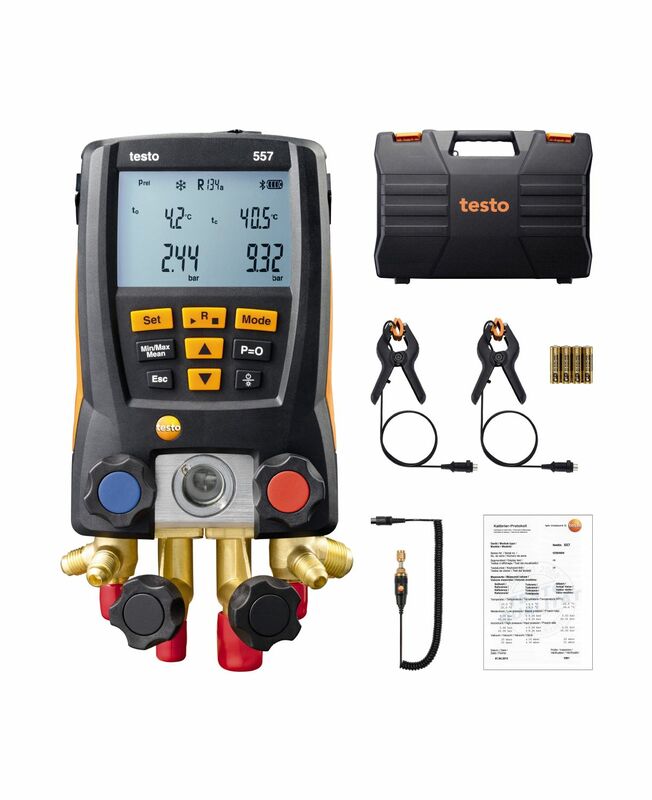 Fixed cable 5 m.
Use the clamp probe (NTC) to accurately measure surface temperatures on heating system pipes, water pipes, refrigeration systems or heat pumps (pipe diameter 6 to 35 mm). 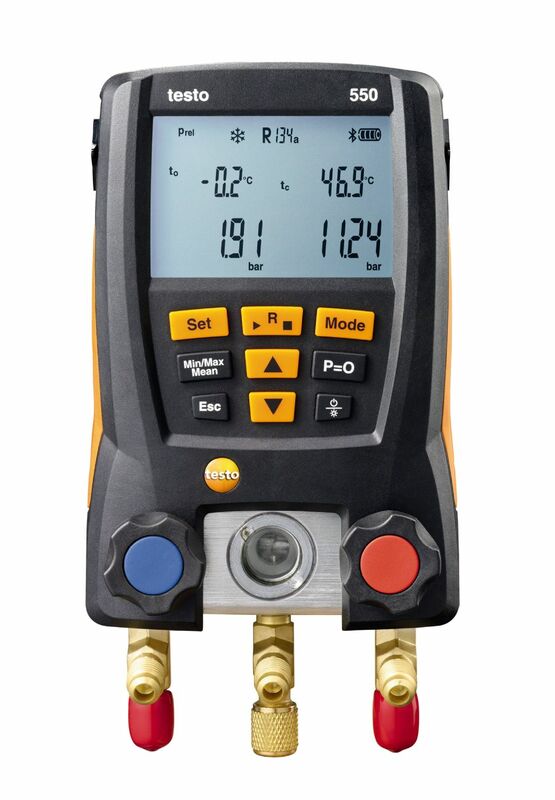 Depending on the measuring instrument connected, the clamp probe can be used to detect superheating/subcooling on refrigeration systems, but also to determine flow and return temperatures in heating technology, for example. The collet enables the surface probe to be attached quickly and easily. 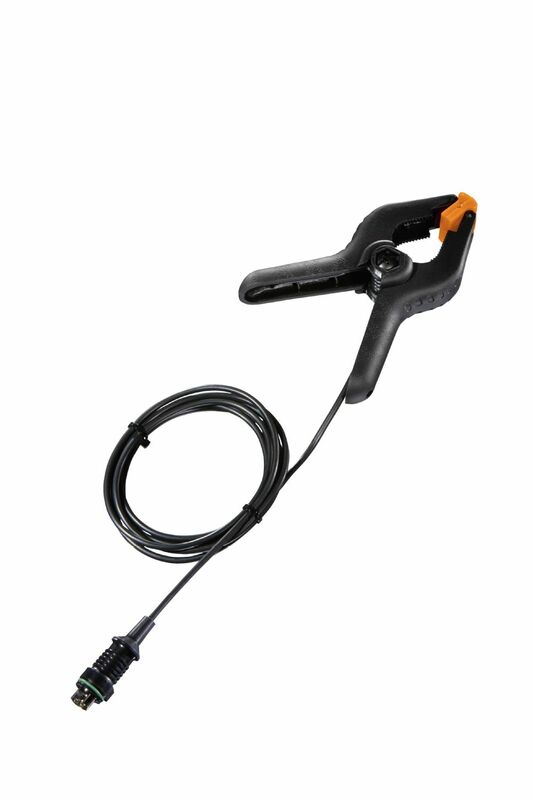 Clamp probe (NTC) for temperature measurements on pipes (Ø 6-35 mm) with fixed cable 5 m.